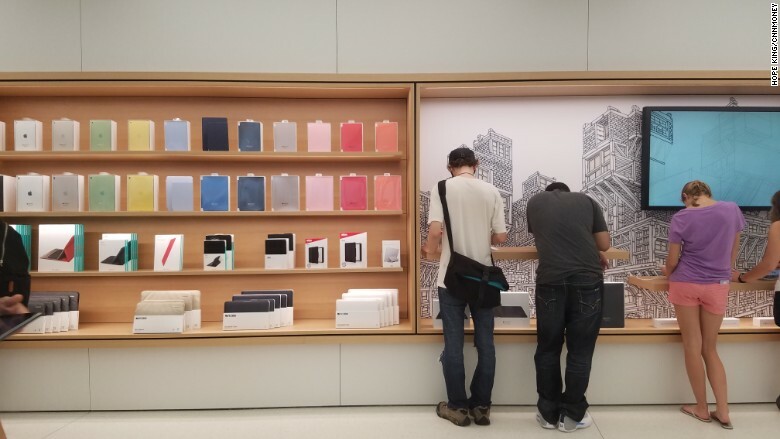 Apple's newest New York City retail store, which opened its doors Tuesday, is an ultra modern visual extravaganza. 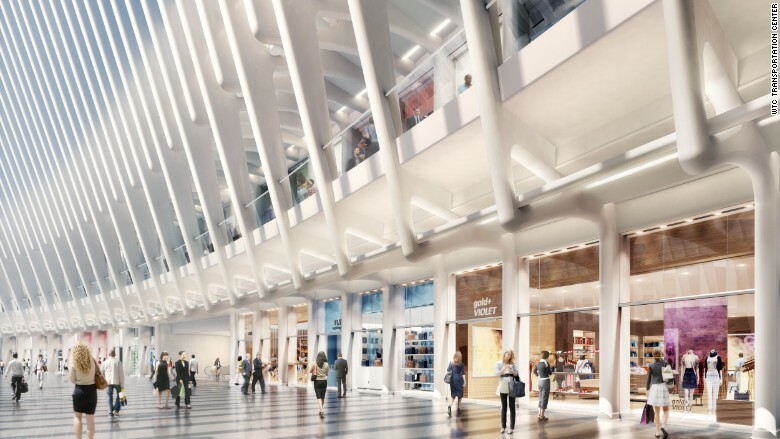 Located on two levels of the World Trade Center Transportation hub -- inside the "Oculus" shopping area -- the store sits across from the fashion brand COS and near a John Varvatos and Boss Hugo Boss. This is Apple's seventh Manhattan location, its tenth across the boroughs of New York and 485th globally. For its latest location, Apple didn't go too far in trying to fit in with its futuristic Oculus surroundings, but it did mimic the flow of the surrounding architecture. The company, for example, designed its interior beams and display tables to line up with the transportation hub's curved beams. The ceiling on the second level of the store is also curved to extend the shape of Oculus' wing design. 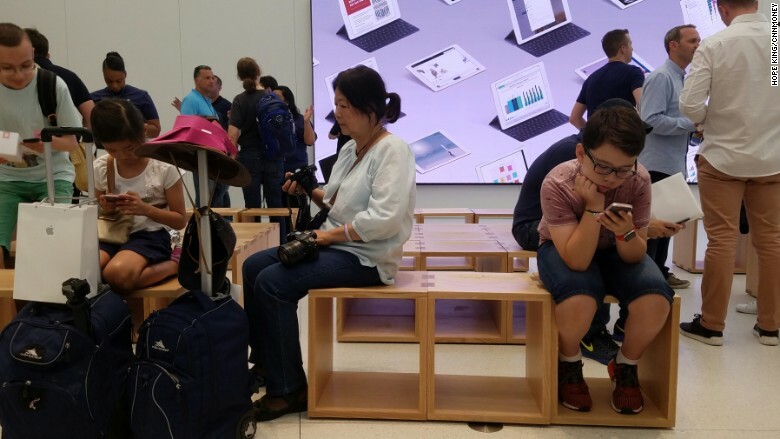 Customers stream into Apple's 485th retail location at the WTC Transportation Hub. 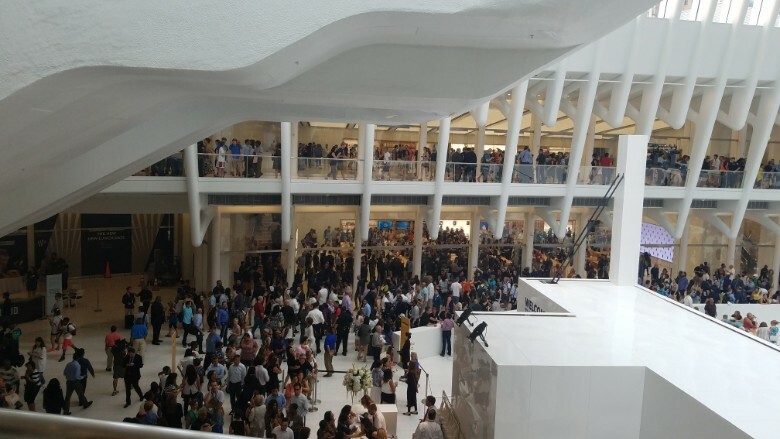 Apple occupies two floors inside the World Trade Center Transportation Hub. 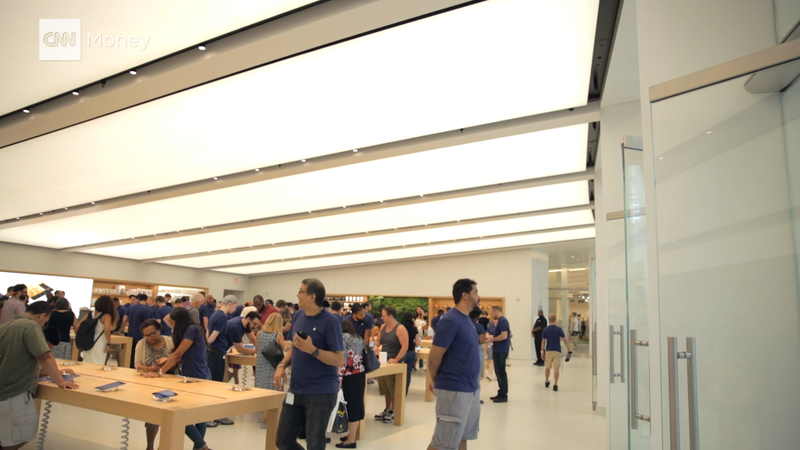 The interior of the shop looks about the same as most other Apple locations, but also features a huge video wall complete with a sitting area called the "Forum", where people can tinker around with their new products and learn how to use them. An area called "The Forum" provides seating for customers in front of a video wall. There's also a wall called the "Avenue," a play on the concept of walking along a city block and window shopping. Each "window" in the Avenue section, which changes each season, displays products people can test out for themselves. The Avenue, where customers can try new products that change seasonally. 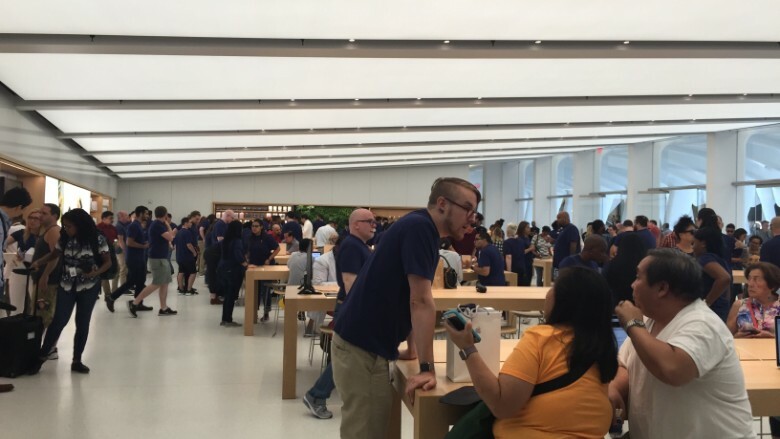 The last time Apple launched a store in Manhattan was June 2015 on the Upper East Side. For that location, the company restored a 1920s-era bank, complete with the same Italian marble flooring as the original. Earlier this year, Apple opened its first Brooklyn location in Williamsburg. Westfield, the developer of the Oculus shopping center, celebrated dozens of other store openings on Tuesday, which marked the official grand opening of its newest retail center. There's a slight tilt to the ceiling on the second floor. 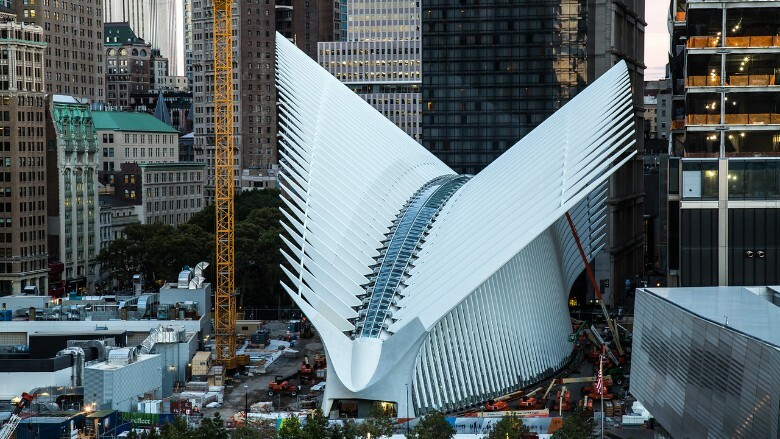 The $3.9 billion structure was designed to look like a flying dove by the Spanish architect Santiago Calatrava. The World Trade Center Transportation hub connects dozens of different subway lines, including the PATH system, which runs between New York City and New Jersey. Hundreds of thousands of commuters and visitors pass through the center every day, according to Westfield.